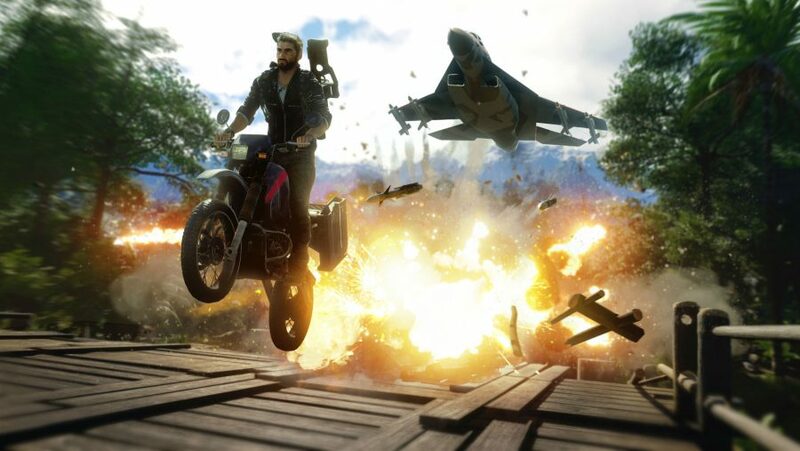 The highly anticipated action game, Just Cause 4 launches tomorrow, December 4th, and GameZap has you covered with all of the information you need to know to glide straight in to the open world on your wingsuit. 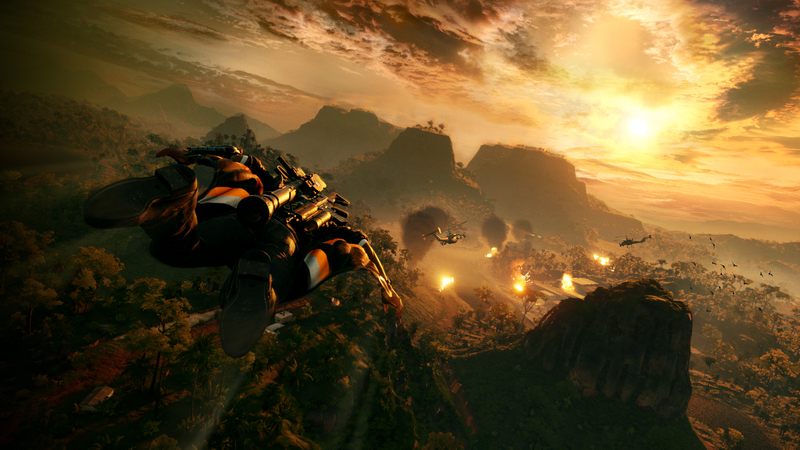 Just like previous games in the Just Cause series, Just Cause 4 will be set in an open world. This time Rico and the crew are in Solis, South America. The world will be set to have many diverse areas to explore and a fully destructible world. 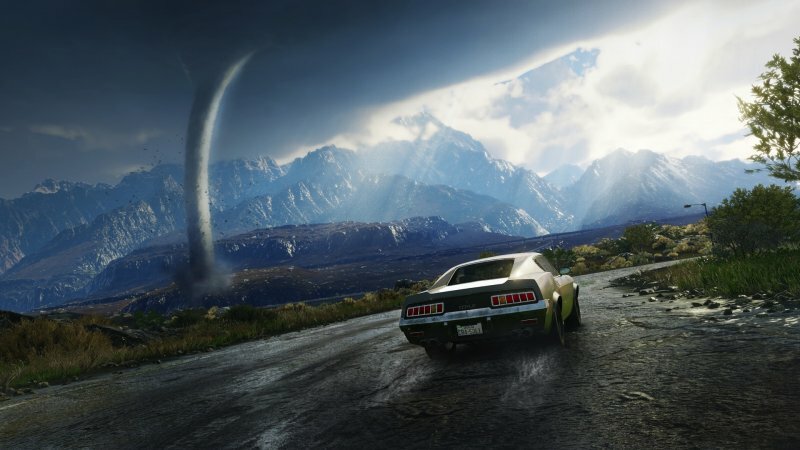 The game has been showcased for the amazing weather effects created in the game’s new Apex engine. If you are a fan of the Grand Theft Auto games, this adventure will surely be up your alley. Even though the multiplayer mods for Just Cause 2 and Just Cause 3 took off and garnered much success, there will be no multiplayer included with Just Cause 4. This is not to say that eventually modders will get a multiplayer up and running. If you pre-order Just Cause 4, you will get the Neon Racer DLC Pack. If you pre-order the $60 version of the game off Gamestop, you will get the Steelbox Edition, which includes a nice looking steelbox set for the game. Placing a preorder for $90 will get you the Gold Edition. Gold Edition includes the Expansion Pass for the game and the Golden Gear Pack, which contains a Golden Gear Shotgun, Golden Gear Wingsuit, and Golden Gear Parachute. The action thriller developed by Avalanch Studios is using the new Apex engine. This will create stunning weather effects, and make the destruction the most real in any of the franchise’s games. This will also fix the technical issues present in the last Just Cause game, which caused it to lose some review score. The game is meant to be over the top with the destruction and environment. It will not be a very realistic game, because it is one meant to have a crazy good time and feel awesome doing so. 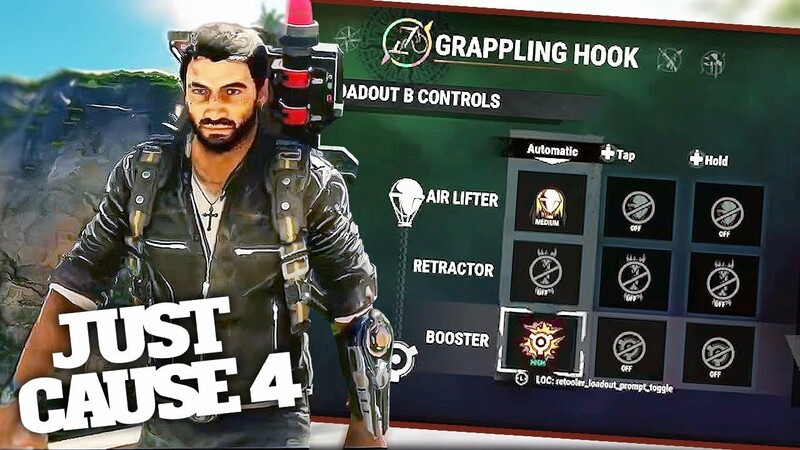 Just Cause 4 includes a new feature called Frontline, which is areas in the game where there are preexisting battles between the Solis Rebels and The Black Hand. The areas are offered as a challenge. Another new edition to the series are the complete customization of weapons and items. The main feature is the grappling hook, which can be changed in any way, and the baloons that carry items across the map. Guns can be modded, also. This game is taking a full on approach to PC, and put a lot of work into the port. It is optimized for midrange systems, but is also set to be more visually appealing on high price rigs. 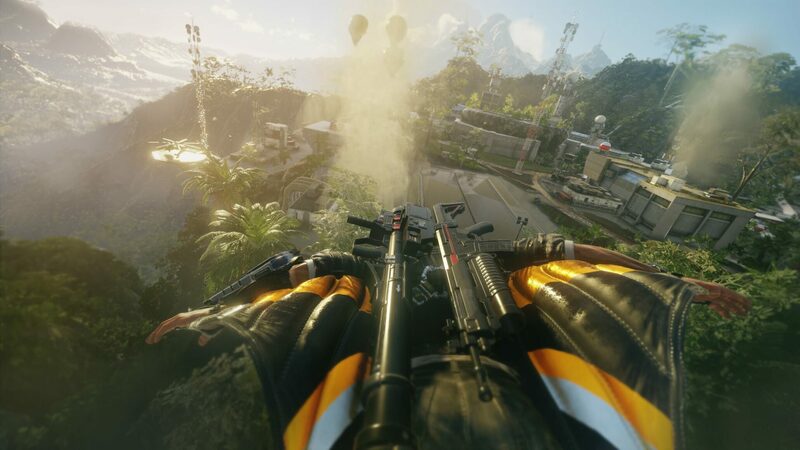 Just Cause 4 seems like an amazing game to pick up tomorrow. Let us know your thoughts on Twitter @gamezapsite ! We will be covering more Just Cause 4 tomorrow with a quick look, followed by gameplay and an official review.